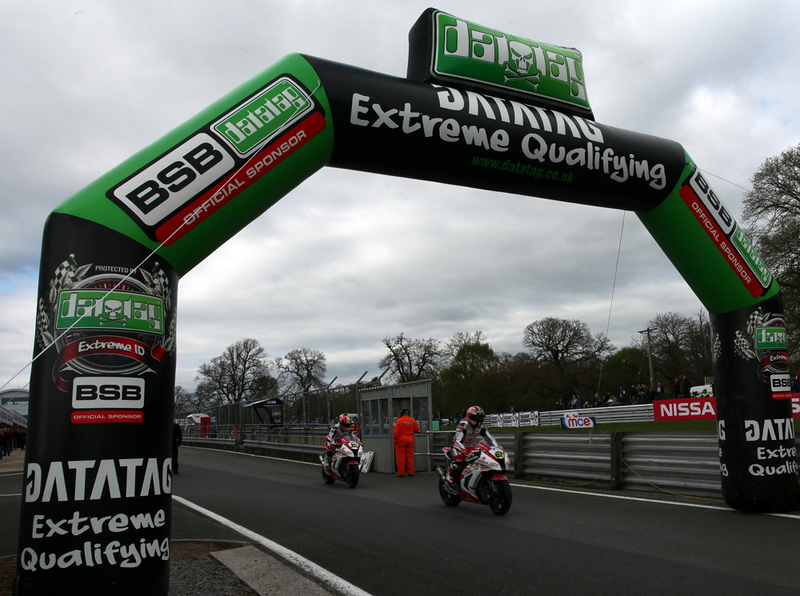 Shane 'Shakey' Byrne returned to the top step of the podium in the second MCE Insurance British Superbike Championship race at Oulton Park as the Rapid Solicitors Kawasaki rider fought off Josh Brookes and Alex Lowes to claim the win and make amends for his race one crash. 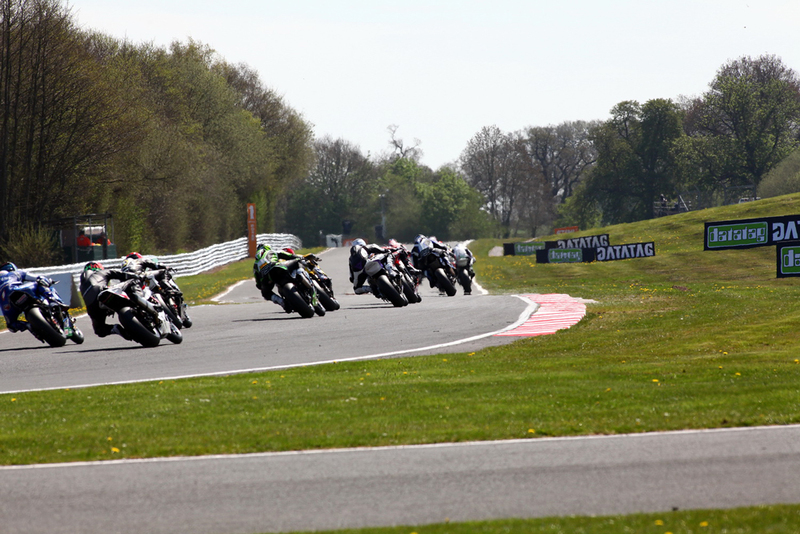 Byrne took the lead on the opening lap from Brookes and Lowes with James Ellison and Tommy Bridewell pushing hard, but behind them a crash between James Westmoreland and Peter Hickman saw their weekend end at Old Hall on the first lap. A confident Lowes after his race one win then took the lead on the seventh lap with a decisive move at Old Hall to move ahead of Byrne, but he fought straight back with a move at Cascades. The Samsung Honda rider was pushing hard to reclaim the position, which he did with a move at Island Bend. Two laps later and Byrne was able to hit the front of the pack again at Cascades as Lowes was pushed to second with Brookes still tucked in behind the pair in third. 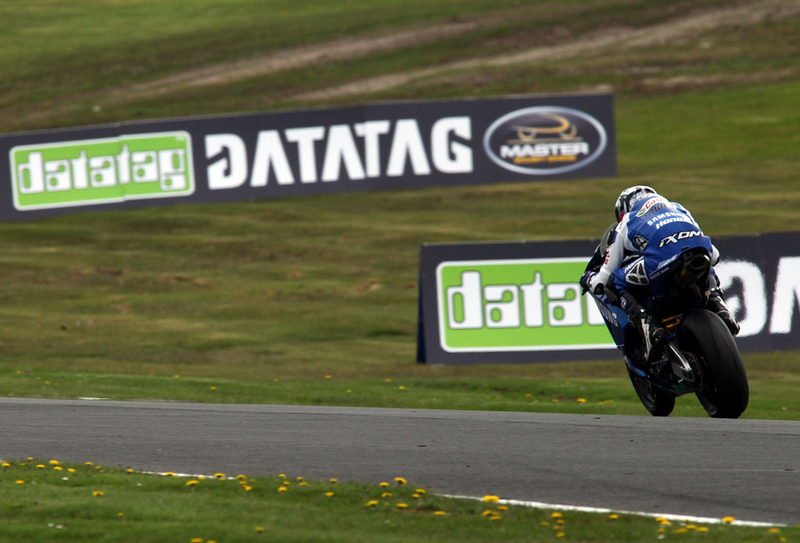 The Tyco Suzuki rider saw his opportunity and moved ahead of Lowes on the eleventh lap at Old Hall; the race one winner then went slightly off line which allowed Ellison to take advantage and move into third at Cascades. Lowes made his comeback a lap later, passing the Milwaukee Yamaha rider and as the pair changed position three times within as many corners Lowes edged ahead. Brookes had been closing on Byrne and looked set to make a move and on the penultimate lap he attempted to pass, which lost him ground and the Rapid Solicitors Kawasaki rider just had the slight edge then to claim his fourth win of the season. 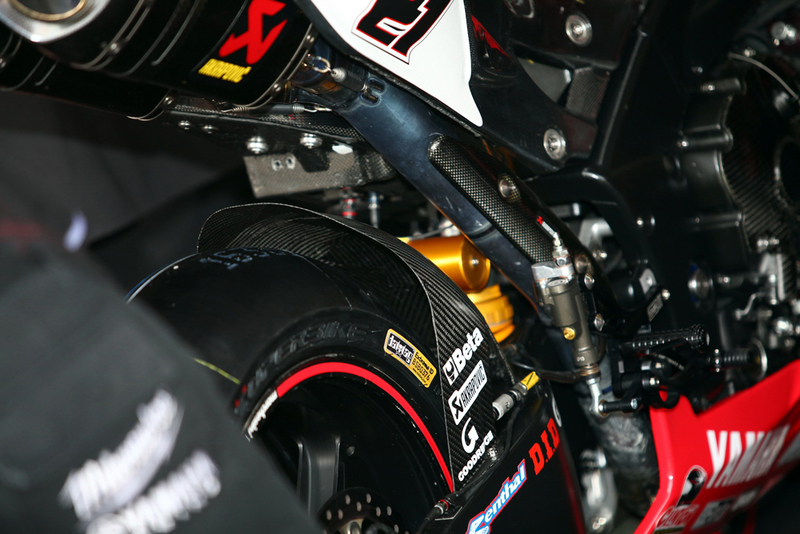 Byrne said: "Winning was a bit of a way of saying sorry to the team for the first race. I went down, lost the front and that was a strange one that the front should tuck in. One minute I was looking at Lowes' swing arms, then next I though blimey, I am looking at some daisies. But we turned it around in the second race and we pulled it off with the win. It was not easy as we had a lost out a bit on race settings because of the crash in the first race, but the team did a fine job to get another win." Brookes was able to hold off Lowes who now leads the standings by a single point ahead of Knockhill next month, with Jon Kirkham fourth again for Buildbase BMW as he held off Tommy Bridewell on the lone Bathams Honda after Michael Rutter was forced to retire from the race. Chris Walker held a consistent sixth place ahead of an impressive Howie Mainwaring on the MH Kawasaki at their home round of the Championship. Keith Farmer, Tristan Palmer and Josh Waters completed the top ten. 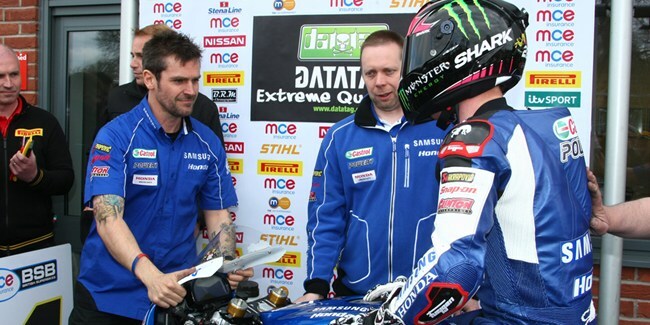 Alex Lowes claimed pole position for the third round of the MCE Insurance British Superbike Championship with a stunning lap at Oulton Park, the fastest ever with the current technical specifications, for the Samsung Honda team. 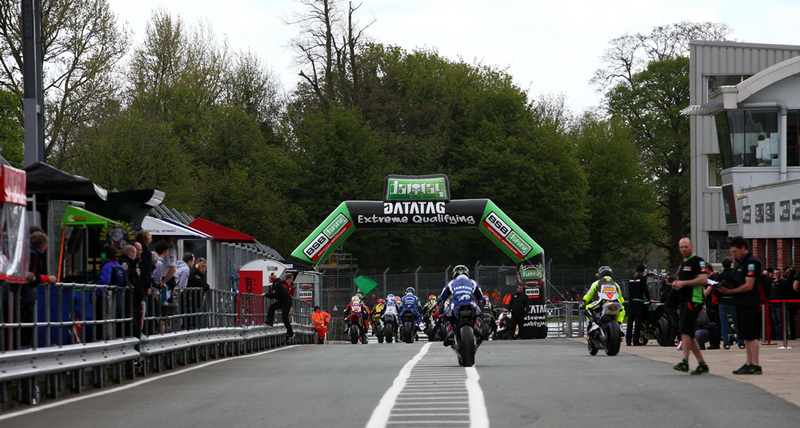 In the opening session Lowes topped the time from Shane Byrne and Josh Brookes, but it was a tough start to the weekend for Bathams Honda's Michael Rutter who missed out in Q1 as he prepares for his 400th race start in the Championship tomorrow. 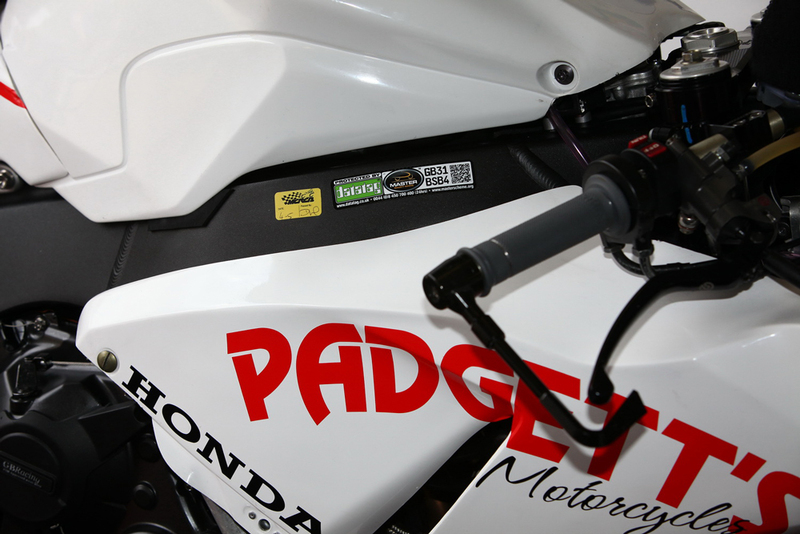 It was also a disastrous qualifying session for local lady Jenny Tinmouth as she crashed out unhurt at Cascades, whilst RidersRacing BMW's Martin Jessopp crashed spectacularly at Brittens but was also able to walk away. Lowes set the pace in Q2 with what had been the fastest lap of the weekend from Byrne, Milwaukee Yamaha's James Ellison and the charging Buildbase BMW of Jon Kirkham as he aimed to add to his Brands Hatch front row. It was another disappointing session for former champion Ryuichi Kiyonari as he will start from row four tomorrow. 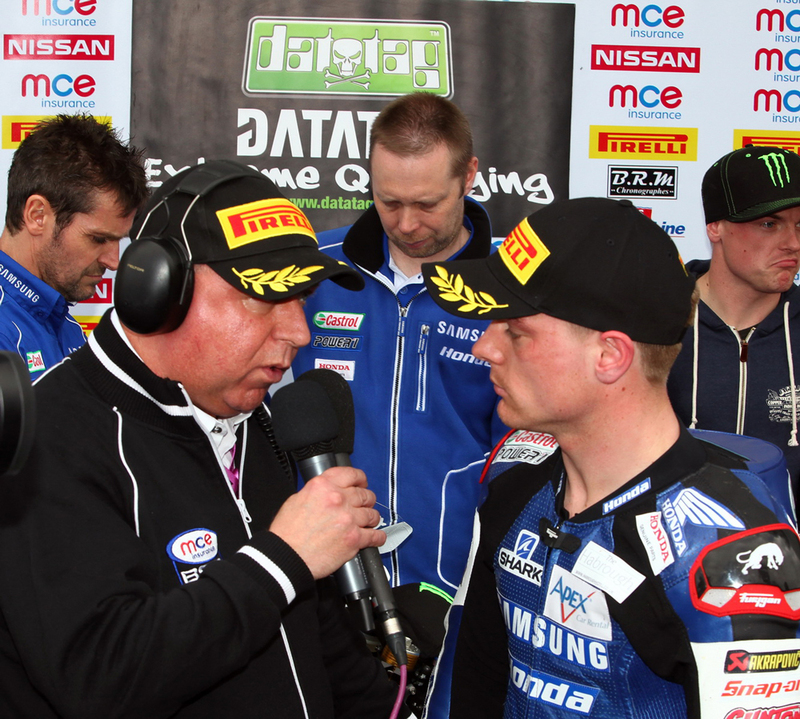 James Westmoreland was denied a position in Q3 after a last minute improvement from Peter Hickman saw him drop to eleventh in the final stages. Lowes had saved the best until last as he upped the pace again in the final session to set the fastest lap and hold off championship leader Byrne; the pair will be joined on the front row by Brookes and Keith Farmer. Jon Kirkham heads row two from Chris Walker and Tommy Bridewell with Peter Hickman pushing the Lloyds British GBmoto Honda to eighth. Ellison will start from tenth after the Milwaukee Yamaha suffered a problem at the start of the session and was forced to watch from the garage.